With more than 8 million books in print RT Book Reviews Lifetime Achievement Award-winning author Roberta Gellis is the master of the medieval romance. Lissa never much liked her elderly husband, but she certainly hadn't suspected he was plotting treason. When she's suddenly left a widow, the sharp gaze of the king's head investigator turns straight to her. Sir Justin is honor-bound to treat Lissa as a suspect, but keeping his distance from the beautiful temptress requires every ounce of his legendary self-control. As King John's court swirls with intrigue, tempers are high, passions are hot, and one wrong move could change the course of history. 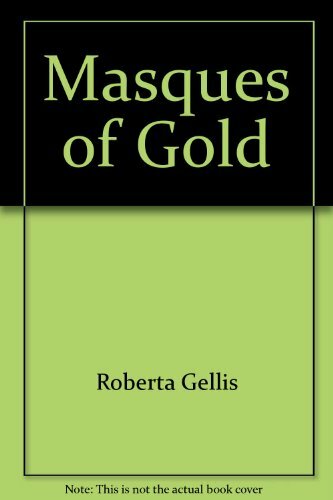 Roberta Gellis is the bestselling author of over 48 novels in many different genres. Publishers Weekly has deemed her a master of the medieval historical. Her many awards include the Golden Certificate and Golden Pen from Affaire de Coeur, several RT Book Reviews Reviewers' Choice Awards, and the Lifetime Achievement Award from Romance Writers of America. She currently resides in Lafayette, Indiana. The high, shrill scream of a young boy rose through the house, and Lissa leapt out the door of her chamber and down the stairs so fast that she was at the entrance before her husband's sons could come from the workroom behind the shop. The servant boy was pressed back against the door he had just opened, straining away from the body that had tumbled in when its support had been removed. Screams rose in Lissa also, but terror bound her throat too tight to free them. Not only was Peter dead, but he had been tortured. Lissa put out her hand and clutched at the screaming boy's shoulder, more to steady herself than to silence the child, but he turned and buried his face in her skirt and was still. In the next moment she was thrust roughly aside. "God! God!" Her eldest son-by-law's voice was thick with grief and shaking with fear, but he grasped his father's shoulders and ordered, "Edmond, help me." The younger son bent to lift his father's feet, then uttered a muffled cry and turned aside to retch as the legs bent unnaturally. Lissa gasped and looked away, freed by the sickness that nearly overwhelmed her from staring at her husband's mutilated body. In turn, the sickness was reduced to insignificance by a new wave of horror. Had her father committed this crime? "Out of the way," young Peter snarled, pushing Lissa back into the shop and breaking her hold on the servant boy. "Go up to your chamber and stay there, you fool." He turned away from Lissa then and growled something about "the guard coming before—" at his brother, but Lissa fled up the stairs without really listening. The notion that had seized her was too dreadful, too powerful, to allow room for any other problems. Lissa had never completely understood why her father had forced her to marry Peter, a man thirty years older than herself and with two grown sons to be his heirs. Had her husband been childless, the marriage would have made some kind of sense because Peter de Flael was a skilled and successful goldsmith and very rich. Then, had she conceived a child, his wealth would have been hers and her child's when he died, which could not be many years in the future in the natural course of events. But with two young and healthy heirs already alive, the possession of Peter's wealth could not have been her father's purpose. Lissa could almost have believed her father had arranged the marriage out of sheer spite, to punish her for periodically demanding that he find her a husband who could be a good partner for her after he died. But her father had transferred to Peter's control a far greater dowry than Lissa had ever expected to bring a husband. Of course, everything her father had would be hers eventually, since she was his only heir, but William Bowles was not the man to unloose his grasp on half a farthing while he was alive, much less the hundred marks he had paid over to Peter. Although Lissa still did not know the specific reason for the marriage, she had finally concluded that it was part of some business arrangement—and that Peter had somehow cheated her father. It was all she could think of as she fled up the stairs and stood just inside the door of the solar with her arms crossed tightly over her breast, as if the grip could hold back her shudders of fear and revulsion. Peter had cheated William Bowles, and now Peter was dead. Then Lissa closed her eyes and swallowed hard. I am a fool, just as young Peter said, she told herself firmly. I am building a whole castle of guilt out of two pebbles—two quarrels that I did not even hear clearly nor understand. She deliberately relaxed her arms, let her hands drop, and took a deep breath. Then she tried to fix her mind on what she must do next, but there was little to do. She could not even lay Peter out yet. Surely the alderman's officers would want to see him as he was when they found him. She had not heard anyone go out to inform the alderman of the evil that had befallen their household, but Lissa did not doubt that young Peter would by now have sent Edmond. She thought she had been too locked into her own private horror to notice, and the question of her father's involvement rose again, but she fixed her mind on what her sons-by-marriage should be doing and what they might forget. Would Edmond have the sense to fetch a priest after he notified the alderman? But Peter was long dead. Would the priest be willing to shrive him? Would he be refused burial in consecrated ground if he was not shriven? Tears stung in Lissa's eyes. Poor Peter! Poor man, to come to such an end! No, she would not permit that. If young Peter and Edmond would not do it, she would find a priest who would say he believed Peter had been shriven and who would allow burial in holy ground. She sobbed twice and then wiped her eyes. Lissa was sorry for Peter, grieved by the terrible death he had suffered, but she did not pretend to herself that she felt great sorrow at having lost him. She had not wanted to marry him, and they had not been man and wife for long enough to build affection. What was more, she no longer believed Peter had loved her, as she had thought when she was first told of the marriage. In fact, by now she had not the faintest idea why he had married her, although she had assumed when her father had ordered the marriage that Peter had proposed it because he desired her. The pleasant delusion had been supported at first by the exquisite betrothal gift Peter had sent—a necklet of golden dolphins with emerald eyes, leaping through a foam of tiny pearls. And the box in which the necklet had been presented was almost as beautiful as the gift itself, all carved and inset with different perfumed woods. The gift had all but reconciled Lissa to the marriage, although she had had renewed doubts when she realized that Peter had added virtually nothing to the large dowry her father had provided. But at the wedding Lissa thought she had discovered the reason for that. It seemed that Peter had paid directly to her father what he should have added to her dowry. Lissa had been furious with William, but not with Peter, who had seemed willing to give up what he had the right to hold in trust for her and use himself until he died. Because of Peter's seeming eagerness to have her, Lissa had thought that despite his age the marriage might be a good thing for her. It would be a pleasant change to live with a man who valued her. Her father had not. He had never forgiven her or her mother for the fact that she had been born a female. William had found her too useful to mistreat, even after her mother had died—and he was afraid of her uncles, who had beaten him nearly to death for striking her mother—but his cold distaste for her had never changed. What would she do now that Peter was dead? She did not think she could stay in his house for more than a few days after his burial. Peter's sons hated her—and she did not know why that was so either. Perhaps they believed she would try to turn their father against them, but they must have known that was impossible. During the month she and Peter had been away at his small estate near Canterbury, she had come to realize that Peter did not love her at all. She would have to go back to her father's house. Lissa found her hands were trembling and her whole body was ice cold. She discovered suddenly that she had not rid her mind of the fear that her father had done this dreadful thing. But the idea was ridiculous. Her father could not have done it. He was too fearful, too cautious, to take such measures no matter how great his rage and resentment. More likely it was that friend of his, Hubert de Bosco, who had been somehow involved in her father's relationship with Peter. Lissa shuddered again, one hand creeping up to press against her lips as she imagined the pain and terror her husband must have suffered at de Bosco's hands. A scratch at the door made her jump and gasp. She whirled to face it, her eyes wide with fear, but when the scratch was repeated, she realized it was far too soft to herald the arrival of her sons-by-law. Neither of them would have been so gentle. It must be the maid, who had been roused and come in from the hut in the back. Peter had never permitted servants to live in the house because he feared they would steal the gold and jewels he kept. They were locked in strongboxes, but he had not considered that sufficient protection—not even against the old woman who had come with his first wife and served him for so many years. "Come in." The words sounded in her mind, but only a faint croak passed her lips. Lissa cleared her throat and tried again. "Come in." The door swung in, but the face that peered fearfully around it was not that of the maid. It was Witta, the little boy she had brought with her from her father's house because she was so sure her father would drive him out. She had found the child half starved and nearly frozen in a doorway. Although she knew it was foolish, that he might be a thief or an apprentice who had been dismissed by his master for bad behavior, she had taken him in. He would not tell her how he had come to be there, only his name, Witta, and he had sworn again and again that he was not a thief or a runaway but an honest boy looking for work. The child's eyes were still enormous, and he was shaking. Instinctively, Lissa drew him in and patted his shoulder. "It is dreadful, but there is nothing for us to fear," she said, not really believing it. "Has the alderman sent his men? Am I wanted?" "Master Peter never sent for the alderman," Witta whispered. "He and Master Edmond have harnessed the horse to the cart and carried out the strongboxes. I think they are going away." "Going away?" Lissa repeated unbelievingly. "But their father—" She stopped because it was ridiculous to repeat what she and the boy both knew, that Peter had been cruelly murdered and it was incredible that the sons would do nothing. "Where is Master Peter—my husband?"